The country’s economy the past few years is anything but stable proof is the massive unemployment and the inevitable closing down of multinational and big companies. This situation can be seen and heard over media news all over the world. Personally I have some friends working abroad who were sent home from their job because the company is slowly decreasing employees, they schedule the mass layoff by batch. They have no choice but to go home unemployed with just the separation pay as their money to start with. See it’s not only local but international as well. Even stock market business is affected; nothing can be defined as stable anymore. Some of the friends I knew who has been separated from their work abroad are looking for good investment for their money. Of course they want a lucrative business to invest so they can be assured of a good profit. Most of them invest also on properties and jewelries. 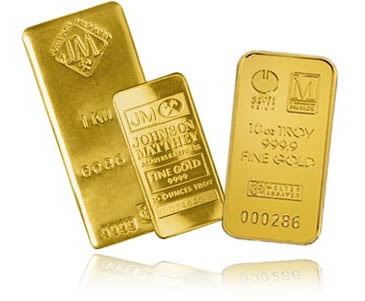 One good investment I found online is the purchase of gold bullion bars which many of us know are real assets. Gold are tangible element that never depreciates in value and investment of these are offered by Monex Deposit Company. You can purchase gold from them or secure the storage of these precious metals. Through gold investment opportunity of gaining profit is very high in expectation unlike other investment.